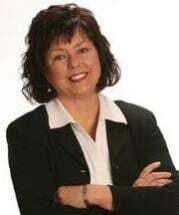 Kathleen Day is a South Texas native who has practiced law in Corpus Christi since 1994. Her office is located at 1001 Santa Fe Street in Corpus Christi, Texas. Kathleen is a Baylor graduate, and started the University of Texas Law School after working in Washington, D.C. for a Texas congressman. After getting first hand experience with how the legislative process can affect the lives of Texans, she decided to go to law school to personally make a difference. Her employment law practice representing clients with claims under the Americans With Disabilities Act helped her to understand the devastating financial effects of disability. In 1995, she began representing claimants for Social Security Disability and SSI benefits. One of the most rewarding aspects of her practice is helping someone obtain disability benefits that provide much needed income and medical coverage. Her practice is now solely dedicated to representing claimants before the Social Security Administration.